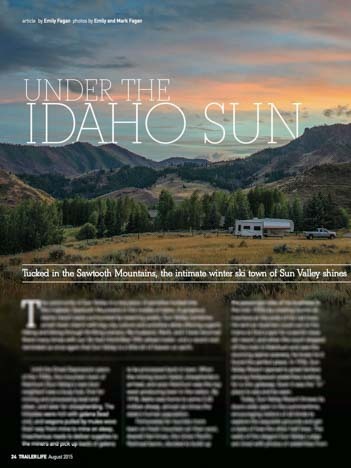 Sun Valley Idaho - in Trailer Life Magazine! This entry was posted in News and tagged New, News, Non-Travel, Sun Valley Area by Roads Less Traveled. Bookmark the permalink.